Youtube is an important social media tool today. Brands and websites that aren’t on Youtube find that they fall behind. For this reason, companies are on the lookout for professionals who know their way around social media platforms; like ones who have taken a social media course or ones who have years of experience. Either way, social media is the way to go. The right video marketing strategy can take you a long way. With more than 12 years online, YouTube has grown to become not only the leading online video platform but also the second most significant search engine after Google – its owner. But how can you stand out beside 300 hours of video that are being uploaded every minute? 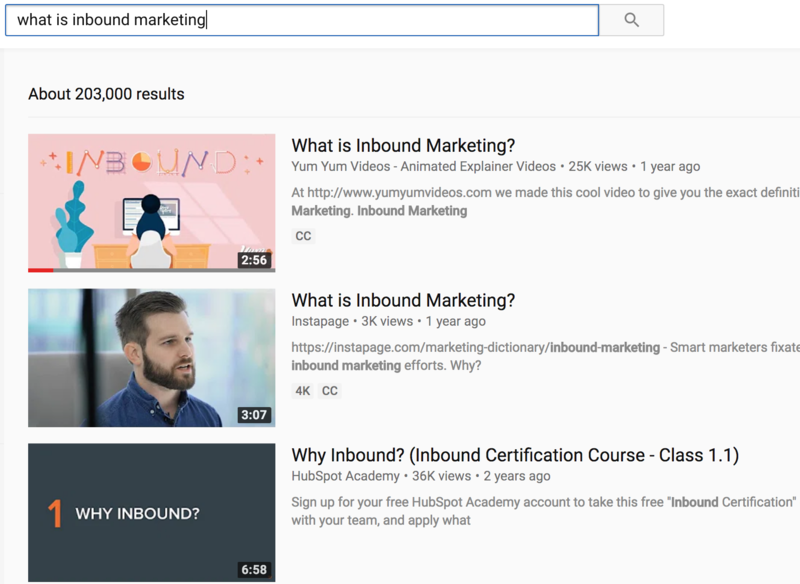 By paying attention to Youtube’s SEO guidelines and ensuring your video’s title, tags, description, and thumbnail make your videos SEO relevant; you can quickly step up in the battle of YouTube’s video SEO. That’s why in this article, you’ll learn how to generate YouTube traffic your channel’s way and how to make the best possible use of the YouTube search engine. Video SEO or YouTube SEO refers to the search engine ecosystem that Youtube has borrowed from Google. All search engines, YouTube included, have primary search results based on what the platform considers more relevant for its users. The term SEO stands for Search Engine Optimization and refers to a series of steps to improve your position in the search rankings. The goal is to master Youtube SEO tactics and use them to appear in the first search pages organically with specific Youtube keywords that target any marketing videos you may have produced (whether they are product videos, tutorials, animated explainer videos, testimonials or any other type). 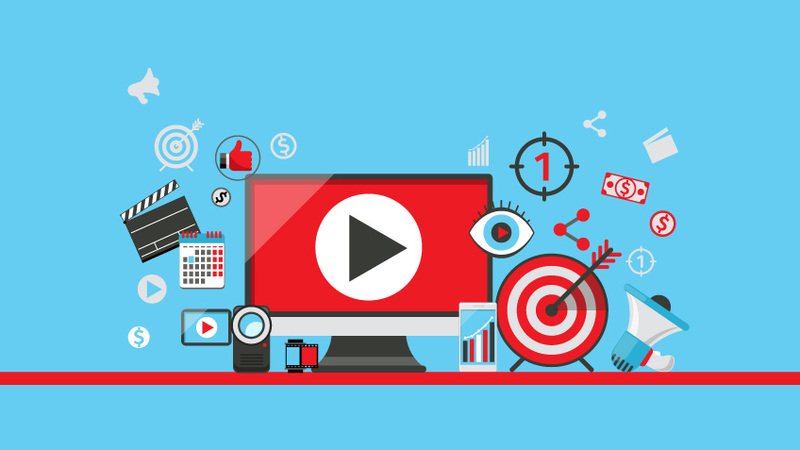 Now that we know what Video SEO is (or YouTube SEO, depending on what you prefer), it is time for us to give you some Youtube SEO tips that you can use to improve the Youtube ranking of your videos. 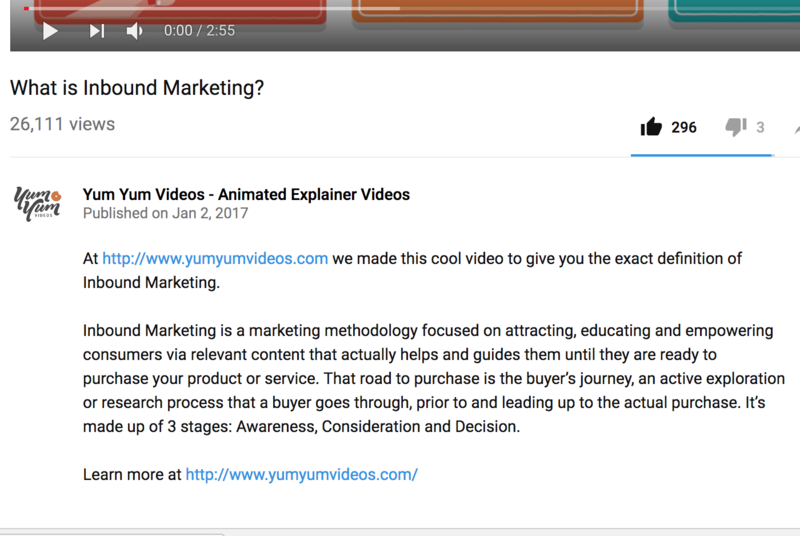 A high-quality video should be your starting point for every video campaign, no matter if you are paying for ads or planning a YouTube SEO strategy. All your efforts will be in vain if you have a terrible quality video. If people enjoy your video and watch it all the way through, you will step up your position. “Watch time” is among the most critical metrics to get a higher YouTube ranking, so make sure your video is high quality, entertaining and relevant. 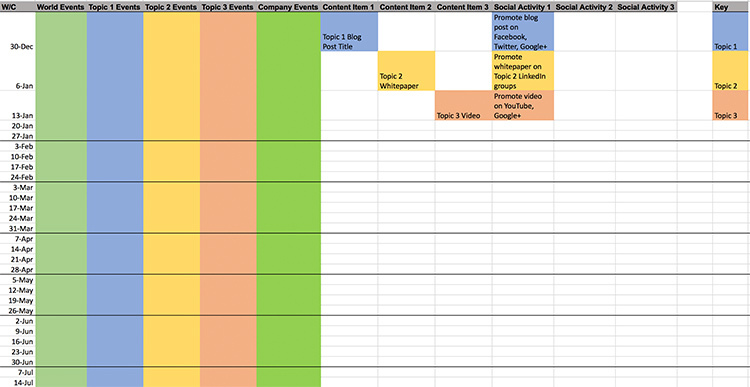 Before you even upload your video, you must know what your Youtube keywords should be. These are the words or phrases that potential customers might search for to find your product or service. If you have an Adwords account, you can use Google’s Keyword Planner to find keywords and check their performance. This tool can tell you how many people search for a specific keyword during a particular range of time. Other SEO tools can help you with this task, choose the one that best suits you. You can also aim for long tail keywords, which are lengthier sentences containing your main keyword. They might not be the highest in the keyword rankings, but as they are more specific and fewer marketers are fighting for them, they can be more useful to reach particular audiences. Take your time looking for the right keywords; this information will be essential later on to plan your title, tags, and description. Now that you know your keywords, you can start thinking about a title. Remember to use long tail keywords that contain your main keyword in the title. Keep it simple, clear and concise. If your title is longer than 60 characters, it will get cut off in the search results. A good tip is to update the title so that it remains relevant over time. The thumbnail pic is the first image that a user will see while searching for a video. It gives a glimpse of your video content, so it’s essential that you choose a still that’s accurate and appealing. Don’t let YouTube pick the thumbnail for you, select the best image to show your video because the right thumbnail will increase the number of clicks on your content. Also, make sure you have a verified YouTube account so you can upload a custom image. The recommended resolution is 1280×720 pixels; you should also check that your image looks good on mobile devices as well. Descriptions are critical to optimizing your video. A well-written text with the right keywords can increase the number of views and improve your position in the search rankings. Describe your video accurately, using a simple language and include keywords in the first few lines. Despite the limit being 1000 characters, try to write short descriptions. 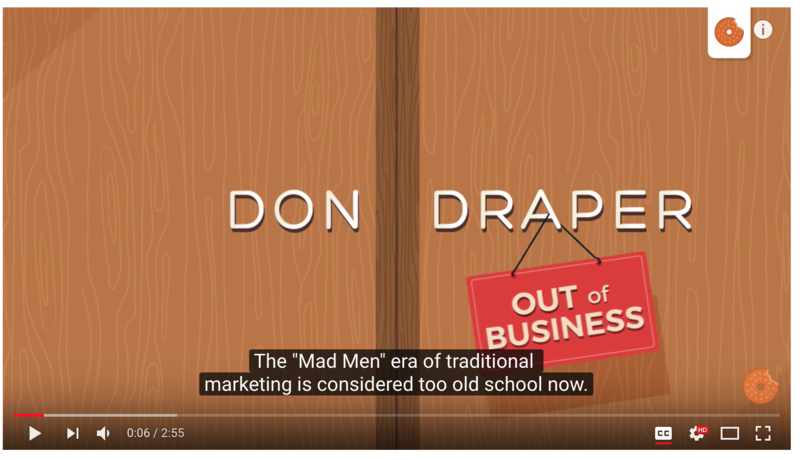 YouTube only shows the first three lines, and then you have to click on “Show more.” You can include there a link to your website and social media accounts. 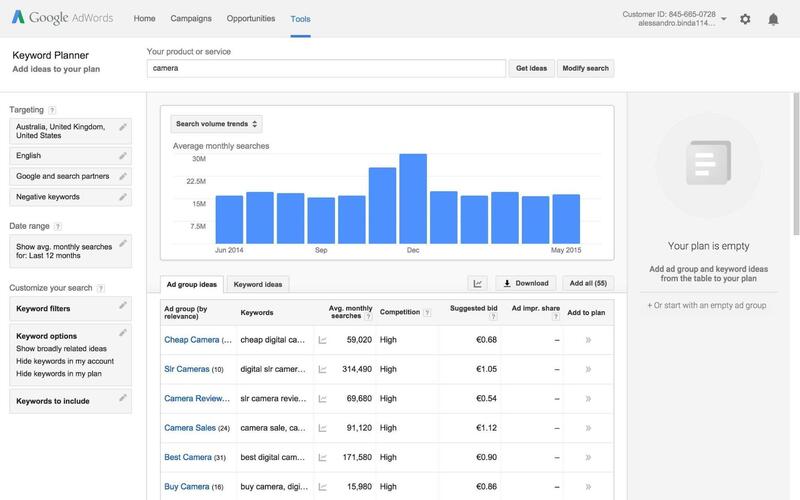 If you want to check how your description is performing, Analytics can tell you which keywords your audience is using to find your video. So if your primary keywords or topics don’t show up, maybe your description is wrong, and you have a few keywords missing. Try to think what you would search for to find your video and include those words in the description. Tags are helpful not only to let viewers know what type of video it is and what the video is about but also to inform YouTube and help to identify your content. Use primary keywords and long-tail ones as well, again you can think about what would a person search for to get to your video. With tags, the platform can understand your content and put your video in related searches, increasing your views and clicks. Just as with titles and descriptions, don’t try to mislead users with fake tags just to get more clicks. You can get penalized, and that can minimize all your efforts. You can also add more information about your video by categorizing it. Just go to “Advanced settings” and explore the categories, choose one that fits your content wisely. Subtitles and closed captions are a good way to expand your content all around the world. Besides, it’s also an excellent strategy to enhance your important primary keywords. Just follow this quick guide to upload files or captions. 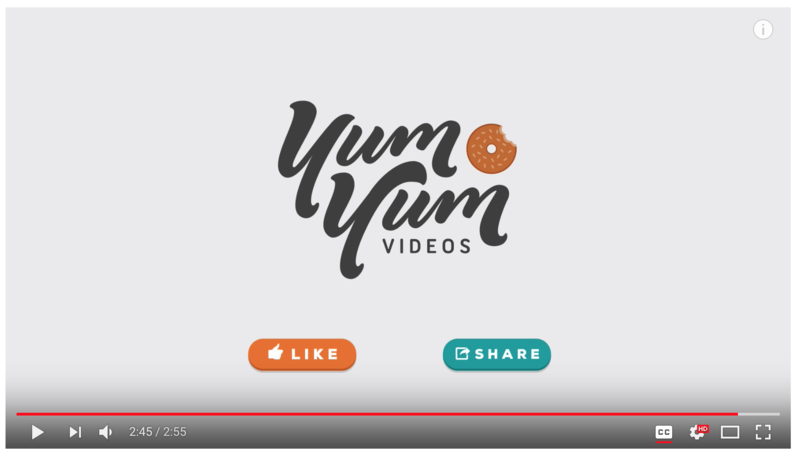 Cards are call-to-action buttons that show up on the video to encourage your audience to visit other videos, playlists or websites. When the card appears, users will see a small icon with an “i” in the corner of the video. It’s essential to include cards in your video to draw your viewers to take action. Besides cards, End Screens are another type of tool to engage with your audience and invite them to keep watching your videos. This can broaden your channel’s watch time, making your videos more relevant in search positions. You can add up to four elements at the last 5 to 20 seconds of the video. Such as Google, YouTube’s Search algorithm is a complex universe and several factors come into play. It might sound tricky at first, but it’s worth it to take some time to analyze your content to get discovered on this huge platform. Think thoroughly what you would search for to find that video, those keywords will be the starting point for your entire SEO strategy. Because if you’ve already invested in a high-quality video, you want every potential customer to watch it. By following these guidelines, you’ll see your videos start to rise in no time. Do you have any doubts or want to share your experience? Comment below! Page speed has always been about user experience. 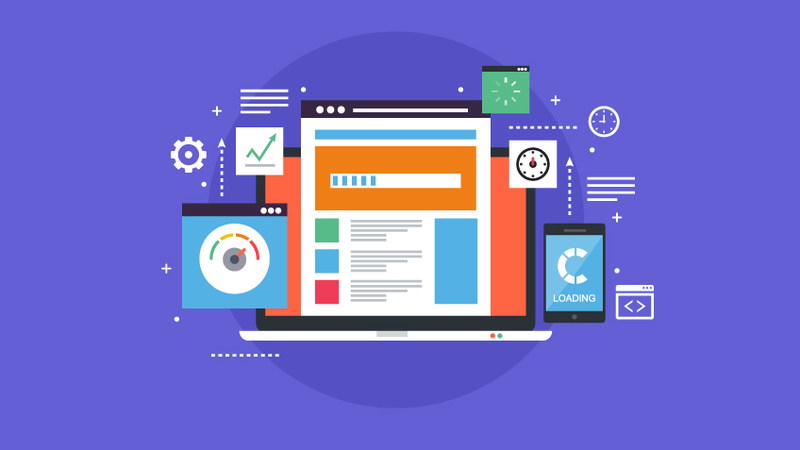 Slow loading pages hinder a site’s ability to capture and keep visitors on a page, but does this affect a website’s ranking? For years there has been a debate on whether or not page speed contributes to Google’s ranking process, but Google has laid this debate to rest. Officially announcing that page speed will be a ranking factor in the months to come, Google has made it clear that this will be a top priority for optimization. With the mobile-first search index rolling out this year, page speed will be a crucial component of the algorithm. The time to start optimizing for speed is now. If you haven’t already begun, rolling up your sleeves now and diving in will position you ahead of your competition. An SEO course could help you here. A course like this would help you understand where each SEO element fits in and how to optimize your whole site so you can shine brightly in Google’s books. 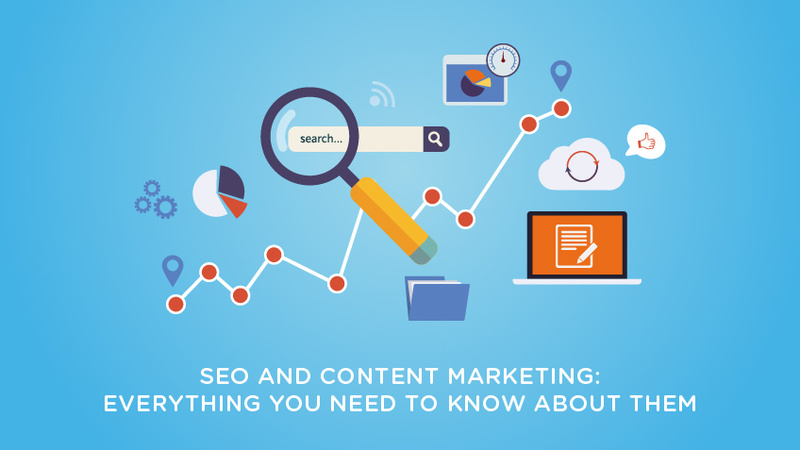 Staying in front of your competition is what solid SEO is all about. In fact, a study by a Colorado Springs SEO Agency suggests that the first page of results gets 95% of all traffic and the first spot gets 30% of that same search traffic. By addressing page speed, you have an advantage over many of your competitors who ignore this statistic. According to Google’s research, the average mobile page load speed is about 22 seconds, and with that, a typical visitor takes roughly 3 seconds to decide if they would like to stay on the site. Grabbing the attention of your visitors is key to landing conversions. If all a visitor sees is a website loading in those first three seconds your bounce rates will soar and they will likely move onto a competitor. When a consumer decides they need a product or service they want it immediately. Yes, page speed is essential for SEO, but the user experience (UX) is what gets conversions. The longer your load times, the more money you are losing. It’s as simple as that. There are a variety of free tools out there that can help determine how fast your page speed. Google has launched the mobile scorecard tool to help firms test the mobile responsiveness of their websites. My go-to is using Google’s Page Speed Insights to determine just how fast a page is loading. This tool not only gives you your score but offers up suggestions on how to improve site speed further down the page. Some of the optimization suggestion is relatively straightforward, but others might seem a bit technical and can be the source of many headaches. So what does all this mean? Optimizing your website helps you streamline your marketing funnel and bring more customers to transact on your site. Here are some tips to help make your site more SEO-friendly. Image Size and Compression – Typically the biggest offender on site speed are large image files that slow down a page. The nice thing about Page Speed Insights is at the end of the scan Google will present you with a file containing the offending images, doing some of the work for you. If you are running on WordPress, there are some excellent plugins that handle this fairly well for free and even better if you purchase the premium versions. One of my favorites is the Smush plugin which does a great job of compressing image files among other nifty tools. Make Use of Browser Caching – Another example of slowing down a web page is the browser caching not being utilized. This simply means that a browser can load resources from a local disk rather than call on the server, saving time and upping the speed of the page. 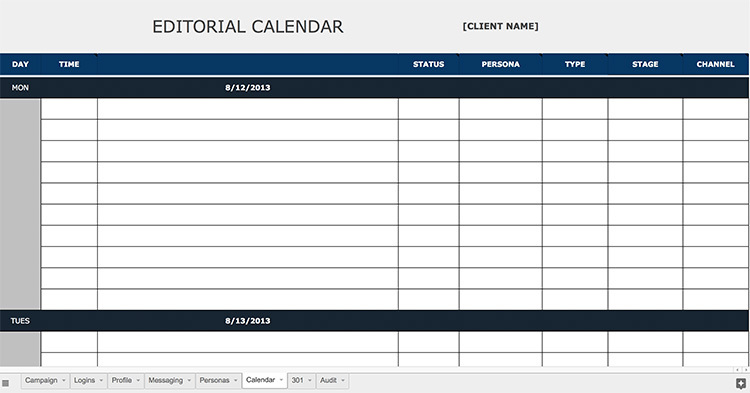 There are many ways to implement this feature by adding a maximum expiration date into a page’s header. If you use a CMS such as WordPress, some decent plugins like Leverage Browser Caching can handle this for you. Server Issues – Some issues that help with speeding up a webpage come from the server level. Items such as reducing server response time can be solved in general by upping your hosting resources to increase page speed. Another typical issue is Gzip compression which can also be addressed at the server level or utilizing specific plugins within CMS’s such as WordPress. Avoid Landing Page Redirects – Sometimes having redirects from a page is necessary, but this can also cause extra time on page loads. Avoiding redirects towards these pages is a good idea, but be careful. Redirects can play an important part in SEO so weigh your options and keep tabs on what happens if you remove an important redirect. The redirects you want to watch out for are, for example, a redirect from a desktop page to a mobile version. If your site is not responsive and needs this type of redirect, it is time for a website redesign to something more mobile friendly. Consider using a Content Delivery Network – Also known as a CDN. This can dramatically lower server response times by using servers closer to where a person might be searching for among other things. CDN’s such as Cloudflare have numerous options to help speed up your websites and their internal pages. They can also protect your websites from malicious attacks. Buy Better Hosting– I know everyone wants to save money, but saving using a budget web host can cost you in the long run. Remember, slow load times equals fewer profits. By investing in a robust hosting plan that can handle traffic you are ultimately creating happy customers through the user experience. This means more conversions and less bounce. By improving site speed, you are not only helping with the website rankings you are making the web a more user-friendly environment. Google’s goal is to make the World’s information easily accessible, and the end game of any SEO campaign is to please Google. In other words, if you improve your users’ experience, you are making Google happy, and Google will reward you with better placement in the search results. It’s a new year and the upcoming trends in digital marketing will change the way small businesses reach target audiences. Digital marketing resonates with consumers when real-life stories, shared CEO moments and technology are used differently when compared to your competitors. Content marketing is all about the customer and what he or she needs. Thanks to this, it is here to stay and will continue to be king in the industry despite whether you sell food, clothing, real estate or pet food. Corporate and personal branding will continue to be a significant part of the customer experience. Digital marketing is important to help corporates build their brand (small or big). It is for this reason that professionals with a digital marketing certification are valued everywhere. Here are some great digital marketing strategies for small businesses to follow. 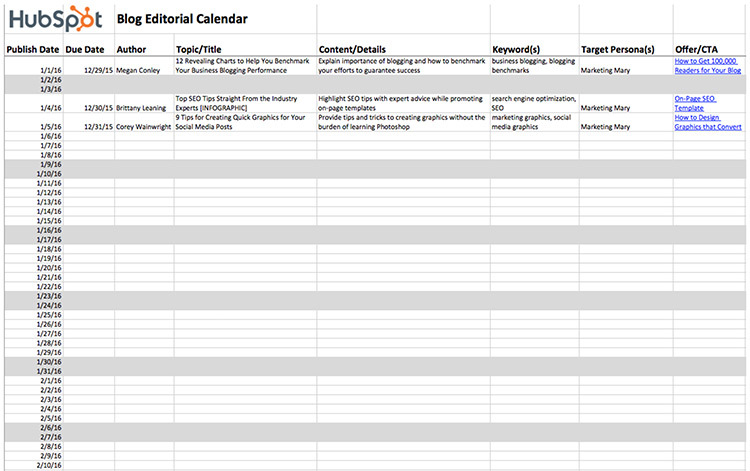 You can use them the next time you schedule a meeting with your marketing team. The first step to implementing a strong marketing strategy is communication. It is vital to get your team together and understand what the essence of a campaign is. Fortunately, there are several cloud software to help you and your team plan these projects without much hassle. Once, you’ve got the communication down pat, then you determine what kind of marketing strategy you should opt for. Where do you want to invest – video or print? Once you’ve decided in which direction you are headed, then you must set the budget for marketing. YouTube is a fraction of online TV although it is the second most used search engine on the internet. Amazon, Apple TV, Netflix, and Hulu will be in the comfort of people’s homes, and if you have the budget to buy product placement on these platforms, it is worth the investment, provided you research the demographics of viewers. Most consumers survive in life with the help of an app. There is an app on the market for meditation, weather, a restaurant finder and more. How does it benefit you? Advertising your products or services on a popular app is the gateway to reaching consumers through innovation. Before you get started, pay attention to Google’s new strategy to remove mobile advertisements from favorite apps. To ensure your ad remains, ask your marketing team to provide high-quality graphics and content that will not be flagged for posting a ‘shady ad’. When you think about advertising on mobile, make sure you advertise in the right apps. Think about who your audiences are, their likes and dislikes. If your app is about fashion, will advertising in gaming app help? Probably, but chances are, you’ll be spending more than you get. Automated technology opens an opportunity for a team to focus on time-sensitive responsibilities as a bot communicates with customers on a web chat platform in the form of an app. It can offer products and services to solve customers problems. The bot works for you while you sleep. In turn, it can prevent loyal customers turning to competitors to meet their needs. Of course, many smaller businesses may shy away from this option because they think it’ll cost them money, but a small investment in this direction could just increase your profits in the (not so) long run. The cookies in internet browsers on smartphones are about to help businesses advertisements pop up at convenient times. It is called Unique Device ID tracking that posts ads based on where a smartphone user is located. For example, a person that is in a shoe store might notice an advertisement for a favorite shoe brand while browsing the internet. Imagine the time a marketing team can spend developing strategies and reviewing analytics as a Unique Device ID does the hard work. Graphic design and photography can capture a still picture with a touch of moving element innovatively using a series of images. The technology is called cinemagraphs if you haven’t noticed it in Starbucks or Coca-Cola marketing. It brings life to a photo and is rarely seen on the internet; an opportunity for you to hone in on an image that can be shared by customers on social media. Machine Learning and Artificial Intelligence (AI) will do the job of the market analyst to scan software and the internet helping businesses discover what the next customer need is in their niche. 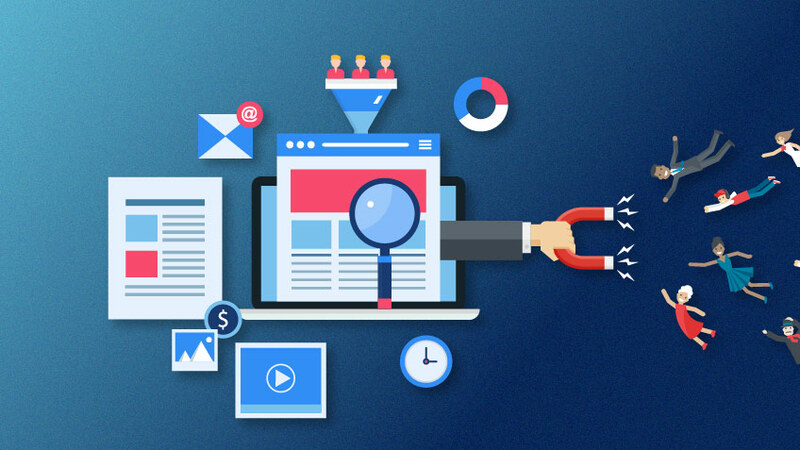 As a result, content marketers will be prepared with real data to craft content that piques the interest of potential clients searching the internet for products. 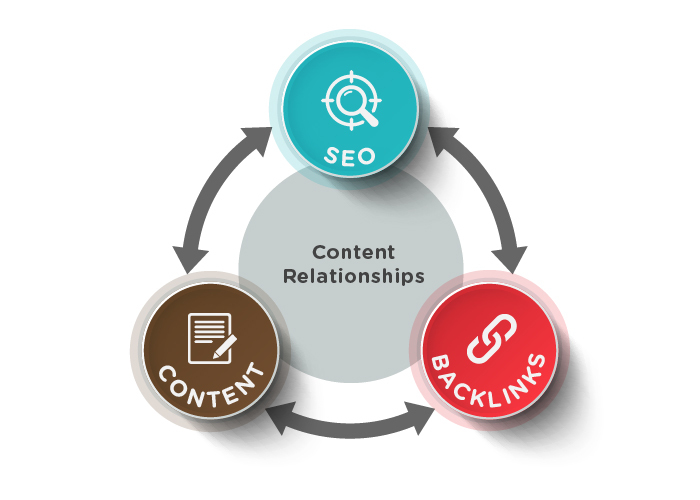 It is essential for you to provide training to employees on SEO content to write the keywords that rank high on Google to help it turn into closed opportunities. The days of a Realtor showing a 360 video of a new house on the market is forecasted to inspire organizations to use it as a marketing platform to attract top talent by showcasing company events to help people understand a company culture. Imagine a short video of a product being developed at your manufacturing facility. An inside scoop to show your customers products are made of the most excellent material and most importantly, with care by employees on-site. Some brands might be hesitant about this strategy, but transparency is the key to winning the confidence of consumers. Who are the cool people on the team? The go-getters with a bright personality to show customers and job applicants your organization is genuine. Digital marketing starts from within the organization. 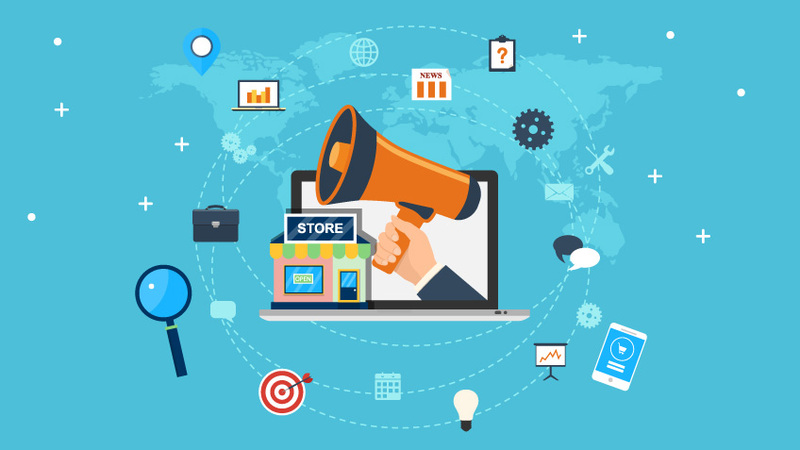 Word of mouth is powerful and encouraging employees to post a product launch at your retail store, a non-for-profit live donation event or employee’s given a free product that has not been released to the public is an efficient way for them to post the experience on social media. It is important for brands to construct their marketing tactics strategically. This is more important if you are a small brand. With limited resources, you’d have to make every penny count. The tips given above may include some investment that could put you off, but don’t ignore them; they could just be the game changer for your brand. Makeda Waterman is a professional writer with clips from CNBC Make It., Huffington Post, Glassdoor.com, Elite Daily, Fast Company, among others. She is passionate about helping people excel in business or their career. 80% of all retail professionals signify that email marketing is one of the greatest tools in customer retention. A 2016 DMA survey indicates that email marketing has a median ROI of 122% when compared to other marketing formats. While these statistics are promising, most people are unaware of what email marketing is and what it entails. Email marketing is a risky marketing format. It is risky, not because it’s a gamble, but because it is easy to overdo it. Do it right and you could reap the benefits of high returns; do it wrong and you could just get blacklisted. Of course, the tricks of the trade can be learned easily through a good email marketing course. With this course, marketing professionals could learn to reach their customers’ inboxes without seeming spammy. Fundamentally, email marketing is the use of electronic mail (email) to promote and sell products and services. Through email marketing, the goal is to build a relationship with a potential customer by paving the path with useful information to aide a transactional process. Sending an email to a customer or potential customer to convince or convert them to take immediate action and purchase or buy into something on offer. Sending an email to a customer or potential customer to enhance a relationship or encourage customer loyalty and repeat business. Now that you know what email marketing is, you are probably wondering, ‘aren’t there more sophisticated methods to market today?’ Answer. Probably. But… the numbers don’t lie. According to HubSpot, 86% of professionals prefer to use email for business communications and 75% of companies agree that email offers ‘excellent’ to ‘good’ ROI. Also, WBR Digital, a demand generation and content services provider, carried out a survey of retail professionals in the US and found that 80% of them said that email drives their customer acquisition and retention. Inexpensive. Compared to other marketing channels, email is very cheap especially when marketing to large numbers of targeted audiences. Great ROI. Low cost coupled with targeted campaigns often means that email marketing has great ROI over other direct marketing strategies. Great Analytics. Email responses can easily be tracked and measured which means that email marketing campaigns can be adjusted and modified for better results. What are some of the benefits that you can expect from a well-organized email marketing strategy? Email marketing done right is direct targeted marketing, this means that it allows you to reach the right person at the right time with the right offer. As such, it often translates into a higher ROI since email marketing is inexpensive while at the same time allows you to talk to individuals on a more personal level. There are several ways you can target interested individuals including through email list sign-ups, or through requesting or encouraging email subscribers to forward emails or share emails on social media. The right email campaign directed at the right people means that you have an audience that is interested in receiving information and offers. This will, therefore, mean that it is much easier to boost your sales through email marketing. The secret sauce to such a targeted email campaign is email list segmentation, which allows you to nurture your email list subscribers with the right message at the right time and therefore move them through your sales/marketing funnel towards becoming a customer. To convert visitors into eventual customers, you need to nurture individuals to trust you and help them to realize that what you have to offer is in their best interest. The cornerstone of this nurturing process is providing useful information or content that will allow your audiences to make informed decisions. As such, choosing the right content at the right time is vital. To choose the right content at the right time, email list segmentation can again be very important in this process. Not only is email marketing inexpensive when compared to other digital marketing strategies but you can even find high-quality tools for free. This can allow you time and access to explore the best tools for your specific needs and upgrade as and when you need to. Through integrating different forms of marketing and specifically content marketing, social media marketing, and email marketing, you can incredibly boost response to your marketing campaigns. 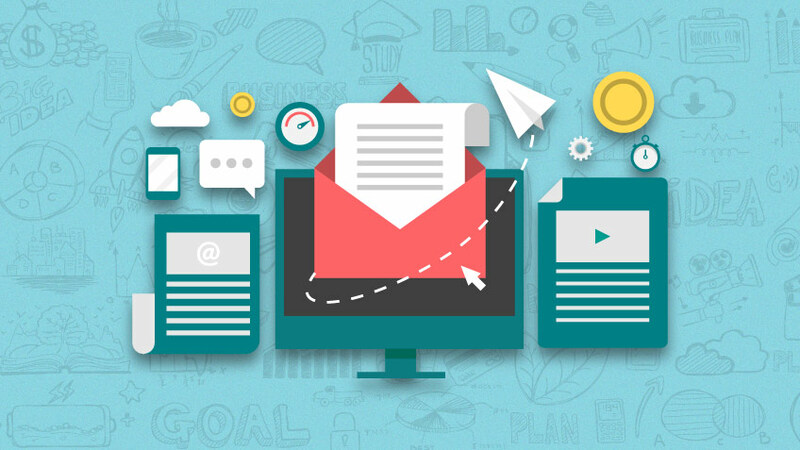 Email marketing can boost or drive social engagement which can lead to more awareness and therefore higher effectiveness as a marketing medium. Some ways to integrate email marketing with other media to boost response include; using shareable content, announcing contests and winners, making exclusive offers that users can share and creating feedback loops. 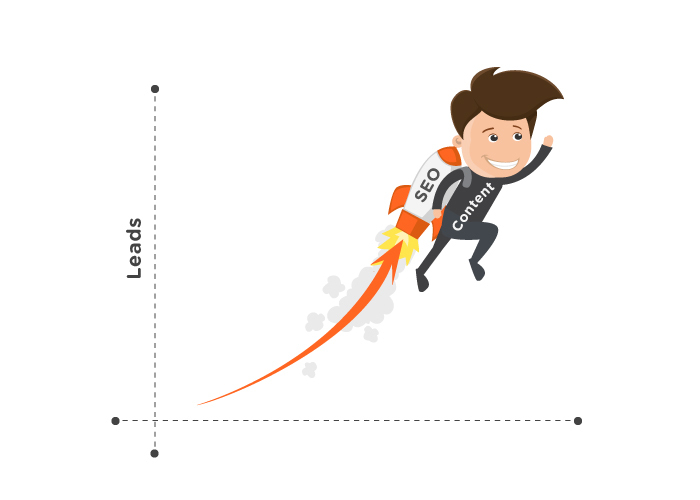 Through several of the techniques mentioned in the benefits above including; targeted email campaigns, better segmentation, integrated email marketing and so on, you have the ingredients to convince a prospective buyer, in the shortest time possible and by providing convincing information that you are the right match for them. If you want to experience and appreciate the benefits of email marketing, it cannot be understated that you must use the right approach or else you risk annoying your audience instead of engaging them. So, with that said, how do you choose the right approach? Before highlighting the best way to get started with email marketing, it is important to consider some ‘critical’ success factors. Dave Chaffey, of Smartinsights.com fame, appropriately highlights the success factors of email marketing in an easy to remember mnemonic, ‘CRITICAL’. Conversation: Create emails that prompt dialogue and encourage social sharing. Relevance: The email should meet the needs of the recipient from the perspective of both the offer and creative/copy used. Separate your email from SPAM by making it tailored and personalized to the recipient’s needs. Incentive: The email recipient should have a compelling reason to open an email and thereafter click on a link or call to action. In short, consider the ‘What’s in it for me’ (WIFM) factor for the recipient. Timing: Time, day, week, month and even year when an email is received can make a dramatic difference. Integration: Other aspects of your marketing mix should reflect in your email campaigns as well to reinforce communications. Copy: When considering the copywriting for your email, consider using language, structure, style, Call-To-Action, hyperlinks and so on that will capture the attention of the recipient right away. Attributes: Consider email attributes including; From address, subject line, e-mail headers, and email format (HTML or text) etc. Landing page: Design a landing page that is easy to complete after the email recipient clicks on a link in the email. There are several tools that you can use to aide your email campaign ranging from tools for harvesting emails to automating the process of sending targeted emails. There are also tools that cater to distinct aspects of the email marketing process including; monitoring, analysis, and management of email marketing campaigns. Of course, the emails that you harvest should be relevant to your campaign so that you can only target those that are most likely to take up your offer. Furthermore, the people that you target should preferably already have a predisposition towards your offer to become worthy leads for your email marketing campaign, your specific SEO niche and for your sales/marketing funnel. There are several highly optimized email templates that have been proved to be extremely effective in their purpose of attracting attention and appropriate action. Instead of reinventing the wheel, start off by choosing an appropriate template that closely meets your needs and then optimizes from that point after gathering data. The last thing that you want to do is to send random emails simply based on your gut feeling. Instead, plan and schedule topics that you wish to discuss and inform the email recipient about, with key milestones in mind. Consider the specific section of the sales/marketing funnel that your email recipient is in as well as the time or season you are sending the email, holiday season, product promotion, shopping season etc. 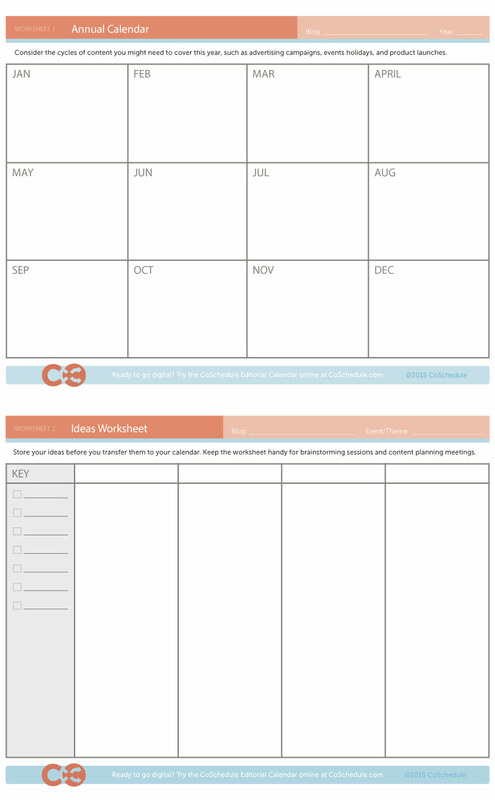 Send emails according to your plan and schedule. Thereafter, track and monitor your emails to appropriately adjust future emails/copy/content according to the recipient’s needs and according to the effect that you require. The top email metrics to monitor the progress of your campaigns include: Click Through Rate (CTR), Conversion rate, Open rate, and ROI. Email marketing tools make it a lot easier for you to manage and succeed with your email campaign. Fundamentally, you want to look for an email service or tool that will ensure that your emails do not end up as spam in your recipient’s folder. When looking for such a service, you want to optimize the features you need and the features you get vis-a-vis the cost of the service. Certainly, in some cases, the features you get for some services can be free of charge. This is a user-friendly email marketing service that is mainly used to start with an email template, customize it, manage contacts, automatically send the email at the right time and analyze email responses. They are one of the largest and fastest growing email marketing services. Constant Contact has a 60-day free trial and thereafter costs as low as $20. Some of the features that Drip boasts include; Automating up to 18 triggers and 16 actions, a best in class visual workflow builder, intelligent Facebook ads, tagging your email list based on actions, identifying best leads, sending targeted emails, tracking performance, integration with other apps. You can try Drip for free for the first 100 subscribers and thereafter plans start from $41 per month. This email marketing tool is tailored for authors, professional bloggers, and marketers. It is easy to use and yet very powerful. Some of the features that Convertkit boasts include: integration (with landing pages, membership site providers etc. ), growing your audience through simple but powerful automation and tracking of data, increasing conversions through well-timed and targeted content, a better understanding of your subscribers through segmentation and sending the right content to the right person based on location, interest, and other data. Pricing starts at $29 per month with a 30-day refund policy. There is plenty of inspiration online for businesses that have successfully used email marketing for their marketing campaigns. 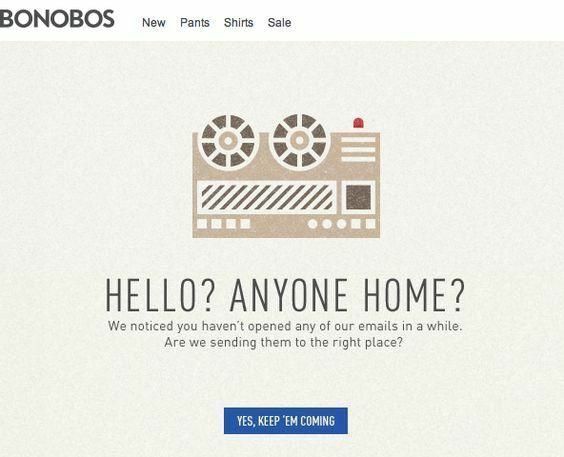 You can find 15 of the best Email Marketing campaign examples in HubSpot’s 13-minute read. Here are three more examples that highlight how to effectively use email marketing. Essentially, this email marketing campaign asks questions that most people will answer Yes to. The idea is that after answering Yes several times, you will most likely accept the call-to-action (CTA). 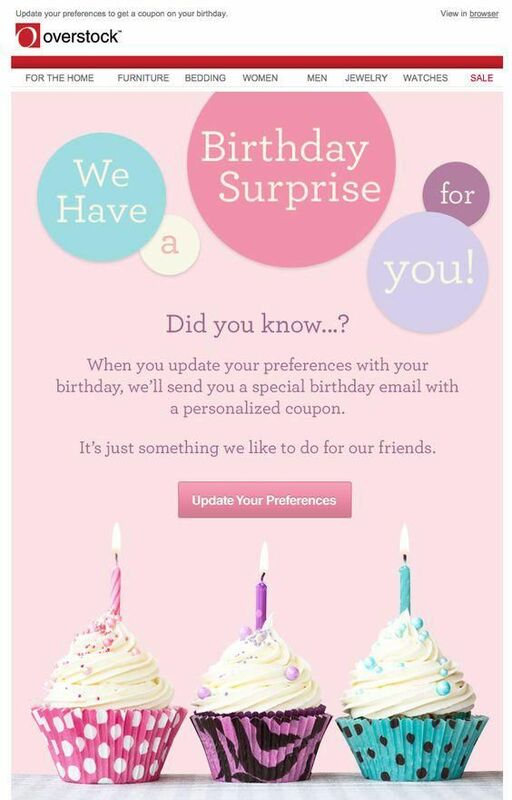 The email campaign sought to motivate email recipients to provide more information, specifically their birth date, by offering them a gift or special coupon on their birthday. 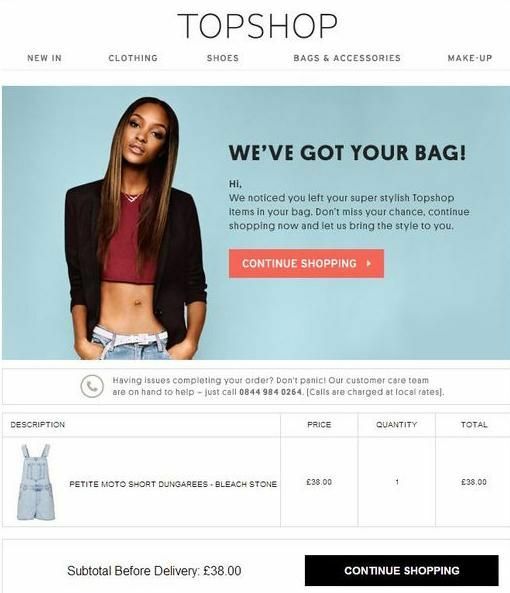 This email campaign reminded customers that had abandoned their shopping carts to go back and complete the purchase. Through direct email marketing, you can not only closely target your customers/potential customers and lead them rapidly through your sales/marketing funnel, but you can also find ways to have your target customers share your email campaigns and become your ambassadors as well. Now that you know where to start with your email marketing, the ball is in your court. Virtually everyone in the digital marketing field has heard of Adwords. However, there is a vast disconnect between knowing the term and truly understanding it. While learning how the Google Adwords platform works is vital for every paid marketing specialist to know, there are few people trained in this. Of course, this is simple enough to fix; plenty of Google Adwords certification courses are available out there in the market for people to learn. 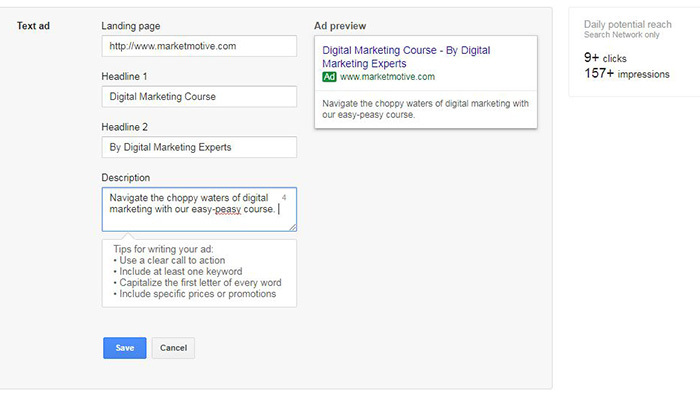 Want to learn how to use the Google Adwords platform? Take our Complete Google AdWords Professional Certification Training today. What does Adwords do? Who is it intended for? Do you need it? These are some of the questions we will try to answer in this article. Adwords is the advertising service that Google provides to users who want to promote their website or brand. In this system, smaller websites can pay Google to give them visibility. People can ‘bid’ for selected keywords and based on their quality score (we’ll get to that later), win the bid and feature at the top of the page. Given that less than 25% of all people go beyond the first page of the search engine, it is no wonder that people pay big money to stay at the top. Let’s say you own a travel website that allows people to book tickets and leave reviews on your site. This is a great site, with excellent content and an interface that gives users a great experience. However, you face a hurdle. You’re a new player in the field and you will have to compete with industry giants who have been around for years. Google loves well-established websites and Google takes time to trust you. However, you can’t get Google to trust you if you don’t get people to visit your site. A vicious cycle that requires inhuman effort to break – we get it. This is where Adwords comes in. Sure, you might be a brand new player in the field, but if your content is great and your site is optimized, you could actually pay Google to feature your site on the first search engine results page. Think of it as ‘leveling the field’. 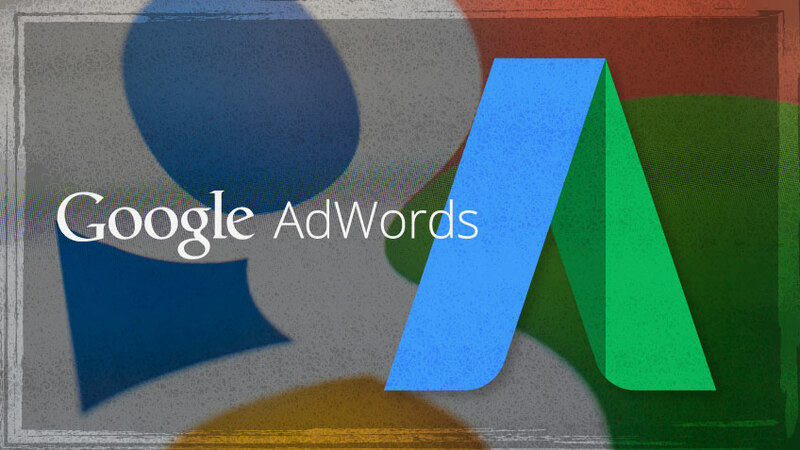 Google Adwords can help small brands compete with the more prominent names. How is Google Adwords different from Adsense? Google Adwords is primarily for people who want to advertise their sites, while Adsense is for people who want to use their website to run advertisements. Adwords is for site owners that want to direct traffic their way, while Adsense is for people who want to monetize their site. Another way to differentiate these two is – Adwords refers to ads that pop on the Google SERP, while Adsense refers to ads that turn up on a website. Google lets you choose between various advertising options when creating a campaign. 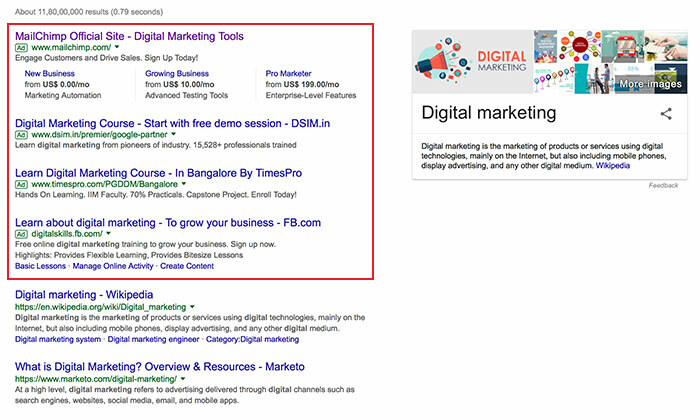 Search Ads – These are ads that turn up in one Google search pages when you look for a particular keyword. These are the most common ad format and are text-based. Search ads are relatively inexpensive when compared to other ad formats. Display Ads – These are ads that usually occur on web pages; they could be in the form of text, banners or rich media ads. Image Ads – These ads refer to banners or graphics that display your product on various websites and blogs. Rich Media Ads – These ad formats allow users to interact with them by running your mouse over them. Most of us have seen ads on blogs which say “roll your mouse over the ad for more information.” These ads tend to have a high engagement rate, given their format. YouTube Ads – As the name suggests, these are ads that turn up on Google’s partner site, Youtube. This is well-suited for players who deal with products that benefit from viewership like clothing or food. Universal App Ads – These are ads that have been adapted to suit all of Google’s properties. This includes Google search, Google Play, YouTube and Google Display Network. Google Adwords Express is the newest offering from Google. 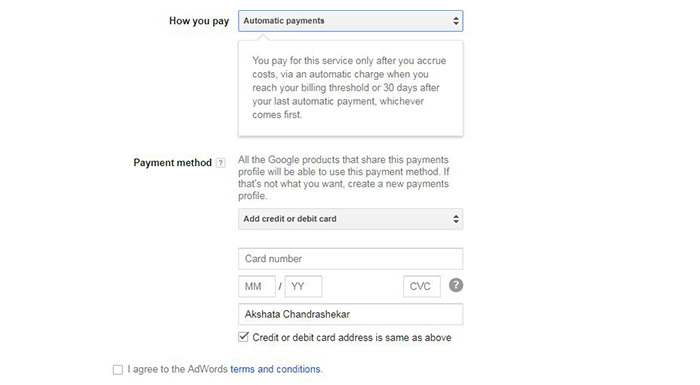 In this section, users only have to set their ads, business category, and a monthly budget and Google takes care of the rest. In this mode, Google identifies search phrases for a business based on its type and adjusts the budget to target keywords automatically. This is an excellent option for small business owners who don’t have the time or the knowledge to set up and monitor a manual Adwords account. It is common knowledge that the older the indexed age of a website, the higher its chances are to rank on the top of the SERP. This often spells bad news for the young guns, who have great things to offer their audiences but no way to reach them. SEO is essential (and shall remain so) in the long run. However, Google Adwords helps new business owners put their names on the front row and gives them a fighting chance. You can monitor precisely which campaigns work and which aren’t. In this way, you won’t have to waste money on campaigns that aren’t working for you. You can even connect your Adwords account to your google analytics account and see how well your leads are converting. If an operation is doing well, you can transfer budgets from another failing campaign. Most marketers know that email marketing is a hugely successful marketing strategy. Unfortunately, getting people to subscribe to your email list when you aren’t a well-established player is a heartache. With Google Adwords, however, you don’t have to worry about getting people to subscribe. Text-based ads from Google Adwords allow you to reach out to customers who have subscribed to related websites so that you can entice them with your products or content. One of the best features of Google Adwords is its capability to retarget your audiences. If someone came to your site and signed off without converting, then you could use Adwords to remarket to them. Adwords lets you create a remarketing list in which you could advertise banner ads to people who have interacted with your content earlier. The targeting is extremely precise and you can even promote the exact product they were looking for. In May 2017, Google unveiled its latest innovations at Google Marketing Next, an annual event hosted exclusively for Marketers. The primary topics in this affair were better methods of measurement and an increased role of machine learning in the Google Adwords platform. a). Identify the real success of a paid campaign. Let’s start with measurement. One of the biggest problem marketers using Adwords face is to identify the actual value of their ad campaigns. What does this mean? Up until recently, marketers were only able to measure the success of their Adwords campaign based on a customer’s last-click, i.e., the link that the customer used to arrive at a website and make a transaction. However, marketers can now use data-driven attribution models to correctly credit each link a customer clicks in a conversion path. With the new data-driven attribution model, the journey a customer makes to land on your converting keyword is what Google aims to map. Thanks to the use of machine learning, Google can now analyze the actual contribution of each keyword in the path of conversion. Say you own Vegan by ROSS, a restaurant in New York that serves vegan food. You run 3 ad campaigns to attract more people to your restaurant. These ad campaigns are for the keywords “vegan restaurant in NY”, “vegan by ROSS”, and “Vegan by ROSS Restaurant in NY.” If a customer booked a table on your website by using the “Vegan by ROSS Restaurant in NY” ad campaign, then in the last-click attribution model, the success of your ad campaign would be attributed to those who clicked this ad to arrive at your website. However, the data-driven attribution model aims to give you a deeper understanding of your customers and how they arrived at your site. In this model, Google will use machine learning algorithms to determine how much credit should be given to each of your Adword campaigns. 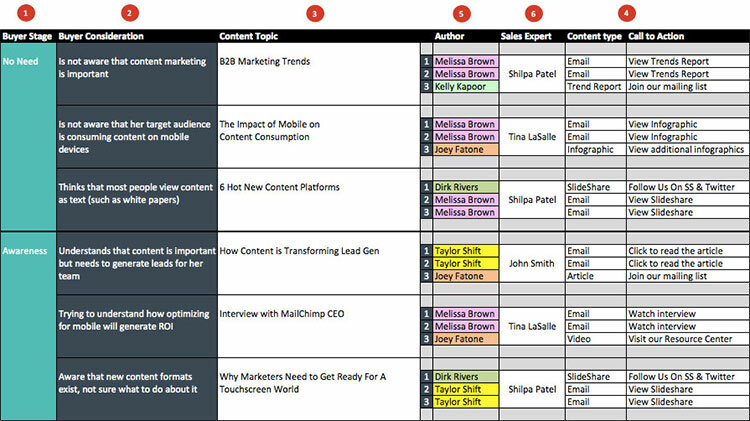 So in this model, you can see exactly how much each keyword contributed to converting your customers. Data-driven attribution is nothing less than divine intervention for marketers. 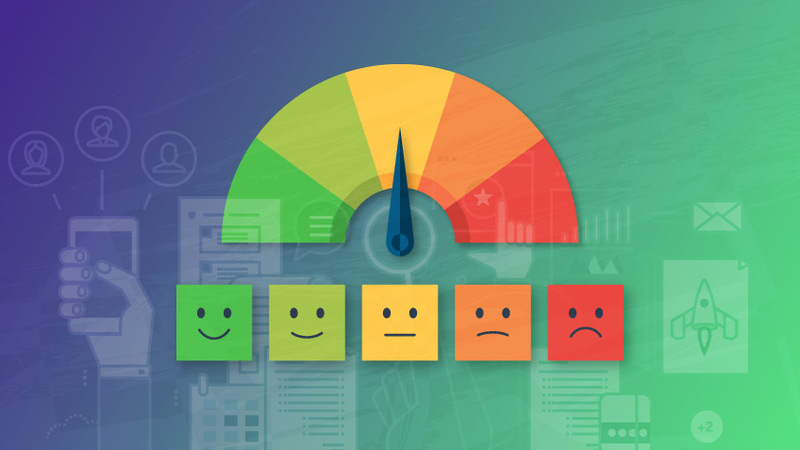 With this tool, you will be able to see what your customers did to get to your site (thereby determining what you did right), how they think and how to adapt your campaign to your customers. Of course, data-driven attribution is only available for those sites that have approximately 15,000 clicks and about 600 conversions in over 30 days. If this data is not present, then you will not be able to see the option to use data-driven attribution in your Adwords campaign. For years now, Google has offered in-market audience targeting on Youtube and the Display Network. Now, it is making the same feature available for the search network. In this feature, Google uses a person’s browser history and identifies those who are ready to make a purchase. You can use this data to target your ads at these customers. Step 1: Sign into your Google Account! 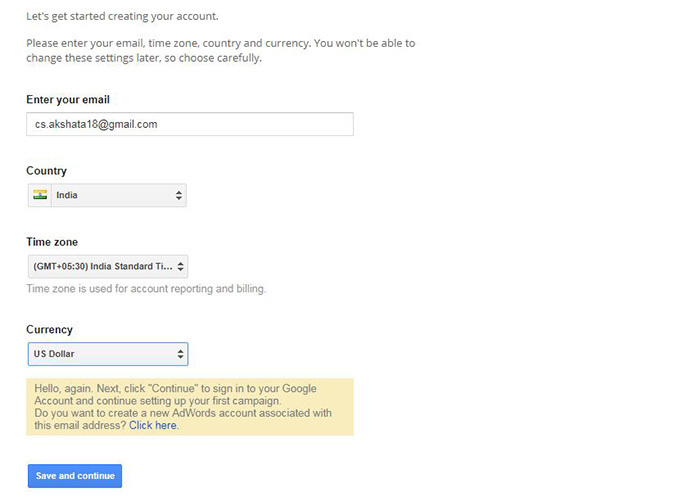 This goes without saying, you cannot operate an Adwords account if you don’t have an account with Google. In this page, you will be required to login with your email address and your company website. Step 2: Fill in your account details. This includes your email, time zone, country, and currency. Please note that this cannot be changed later, so fill it with care. Step 3: Once you fill the necessary details, you will be automatically directed to the page that will help you create your first campaign. This is the Google’s guided version and isn’t as scary as it sounds, we promise you. Step 4: Fix your Budget: How much do you want to spend in one day on this particular campaign? This is what you’ll be choosing here. Remember, start small until you get the hang of things. Your budget could be as little as $1. Step 5: Decide who can see your advertisement. In this tab, you can include or exclude specific countries or go global. You can even target local customers by specifying regions. Step 6: Choose where your ads get displayed. Depending on your site, you can choose between search, search and display or shopping ads. Step 7: Decide which keywords you want your ads to target. Remember, don’t make it too broad, your ad will turn up for unrelated sites. This could negatively impact your budget and may just decrease the SEO value of your site (A high bounce rate is never appreciated). Step 8: How much are you willing to pay for your ad. Now, this is important. This determines the position in which your ad will be placed. The highest bidder with positive quality scores will be placed on the top of the first SERP. The lower your bid, the later your ad will show up. Often, it is better to place a higher (and fewer) bid on your ads than place lower (and more frequent) bids. Step 9: Create an ad copy. This is what shows up on the SERP when people look for your keyword. 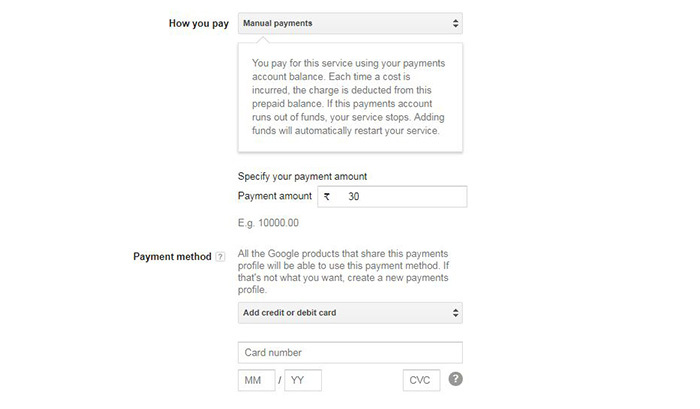 Step 10: Choose your payment method. This could be manual or automatic. In the automated process, you will be charged every 30 days by default. In the manual mode, your payment account gets deducted each time a cost is incurred. If this account does not have any funds, then the campaign stops (this makes this an automatic favorite for us). 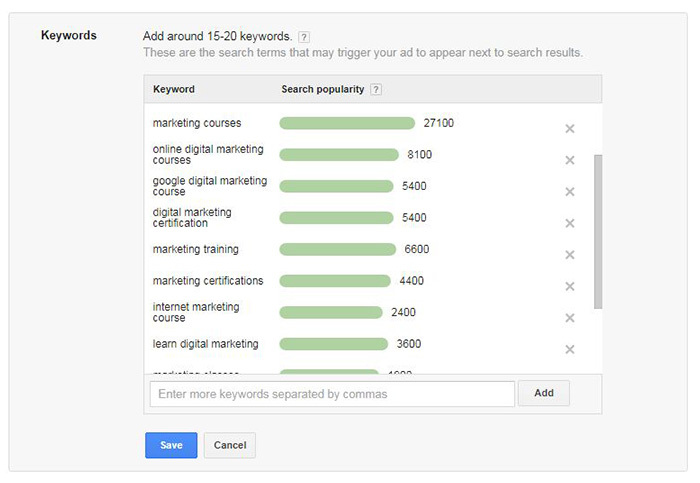 Google Adwords Certification – What is it? The Google Adwords certification is given to you by Google when you clear the requirements set by them. To become an Adwords certified professional, you need to clear 2 of the Adwords certification exam; the Adwords Fundamentals exam, which covers the basics and the intermediate concepts of online advertising and Adwords. A Google Adwords certification is a seal of approval given to you by Google. By getting certified, Google ratifies your abilities in dealing with the Adwords architecture. What this means for you is that your employers can gauge (to an extent) how well you know the Adwords platform. Keep in mind that gaining knowledge in Adwords is not the same thing as knowing PPC. A Google Adwords certificate is also great to earn yourself some ‘credibility’; no other certificate can match the validity of a Google certificate (given that, you know, they created Adwords). A certificate from Google is like hearing from the horse’s’ mouth that you do know what you are talking about. So, how do you get certified? Well, first sign up for a Google Partners (soon to be moved to Academy for Ads) account. Then, you’ll have to take a couple of exams. Google allows you to take the certification exam multiple times if you fail. However, if the thought of not clearing your papers rattles you or if you don’t have the time to take the exam multiple times, you could take our Complete Google AdWords Professional Certification Training that is designed to all but guarantee your Google certification. Now, getting to the Google exam format. The first one is mandatory, and everyone must take this exam to get certified. One of the following topics needs to be taken to get certified. Take care when choosing which subject you want to study for; not all topics are equally suited for all industries. Well-suited for anyone practically anyone who works with companies that have significant Adwords budgets. The exam is intended for beginners and experienced professionals. The exam tests you on the concepts of inputting information into the product feed and how to create and run a merchant account. There you have it. This is all you need to know about Google Adwords and its certification. It is extremely easy to get certified in Google Adwords and there are no reasons for you to not get certified. Reach out to us in the comments section below and let us know if we have forgotten anything or just say hi! When it comes to boosting your brand’s online reach, social media is critical. It’s one of the most direct ways to engage with potential customers. Appearing in your followers’ news feeds (and the news feeds of their friends) on a consistent basis is very important in building brand awareness. 95% of adults aged 18-34 are likely to follow brands on social media—that’s a statistic you can’t ignore. The importance of social media marketing continues to grow, even within B2B industries. Social media is now a legitimate source for potential customers to find information about your business. In fact, 55% of B2B marketers claim to search for a product or vendor on social media before making a purchasing decision. A mere presence on social media isn’t enough—you need to be utilizing it regularly. But setting a chunk of time aside each day to post to social media can be a challenge, especially when the best time to publish varies between platforms. While weekends may be great for Facebook, Tweets thrive during the middle of the weekday. 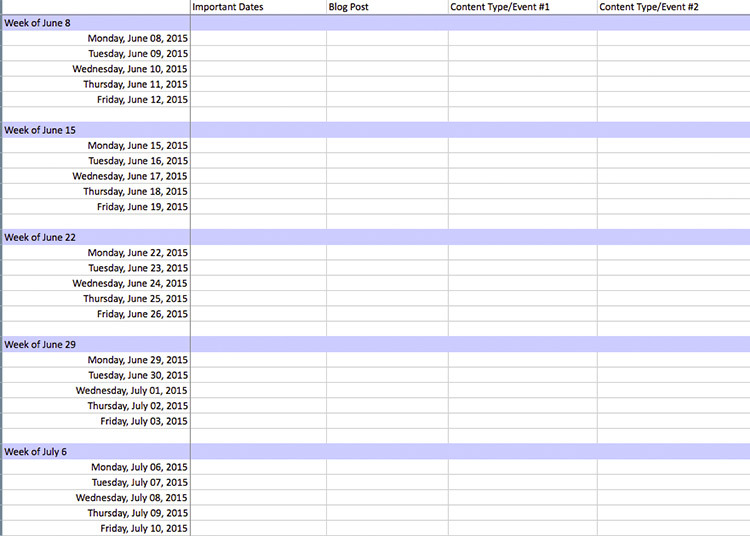 Figuring out what content to post is enough of a challenge without worrying about when to post it. 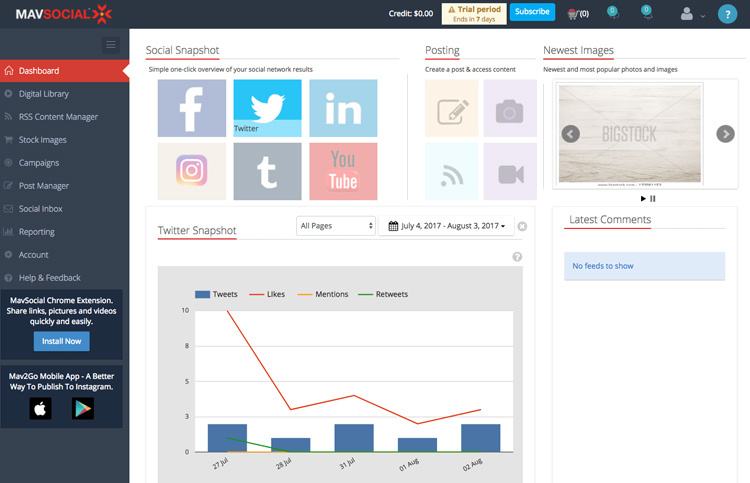 Luckily, there are plenty of free social media tools to help content marketing managers simplify their social media strategies. 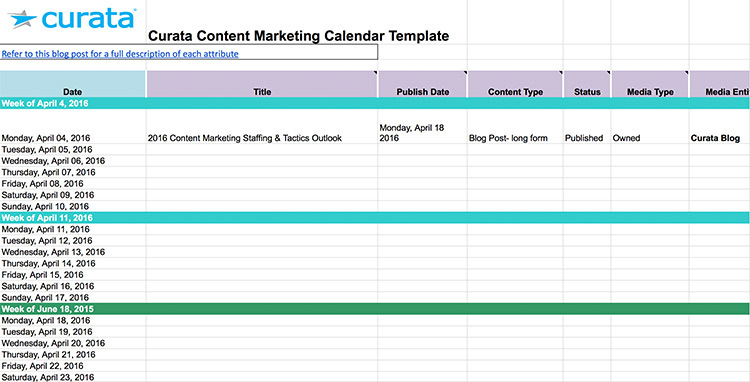 The right tool can help you plan posts ahead of time, so you never have to worry about missing prime publishing hours. Given below are four social media tools that content managers must take advantage of. 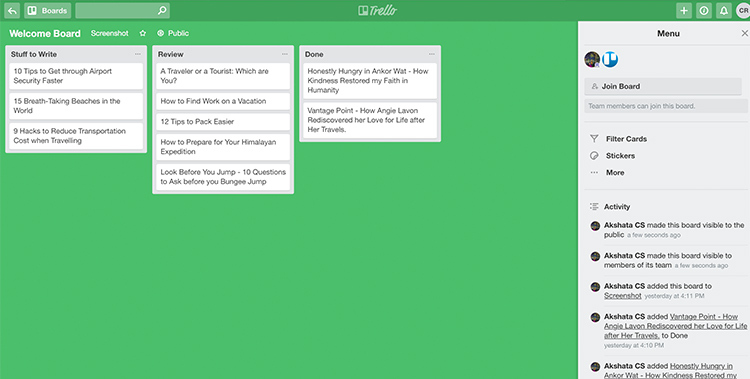 Buffer is one of the simplest social media management tools out there. 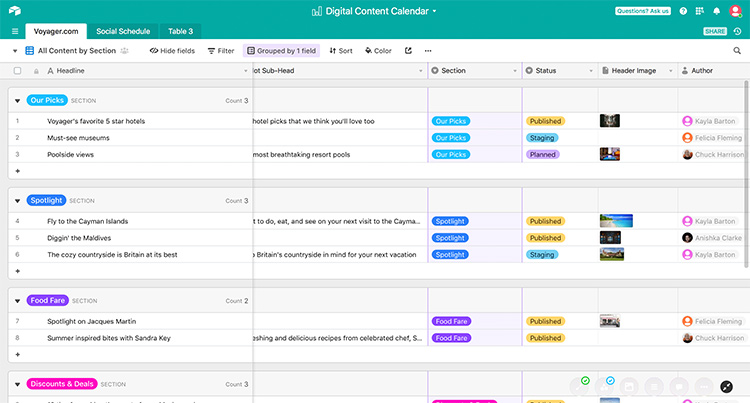 It lets you set your publishing schedule across each of your channels, and it will post only according to the schedule you’ve established. 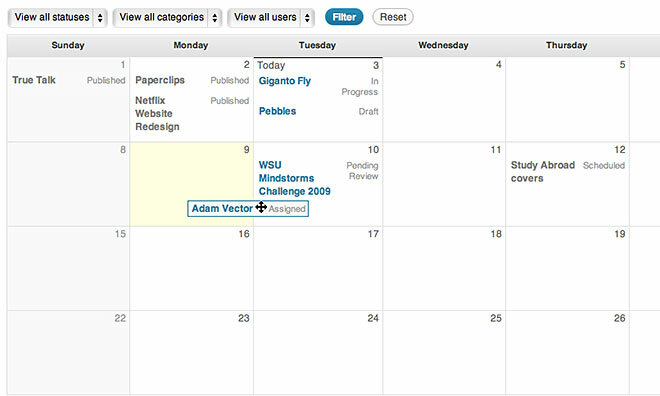 Just select the days and times you want to publish to each of your accounts, and you’ll be set. And if you’re not sure when to publish—don’t worry. Buffer has an optimal timing tool that shows you when your audience is most likely to view your posts. 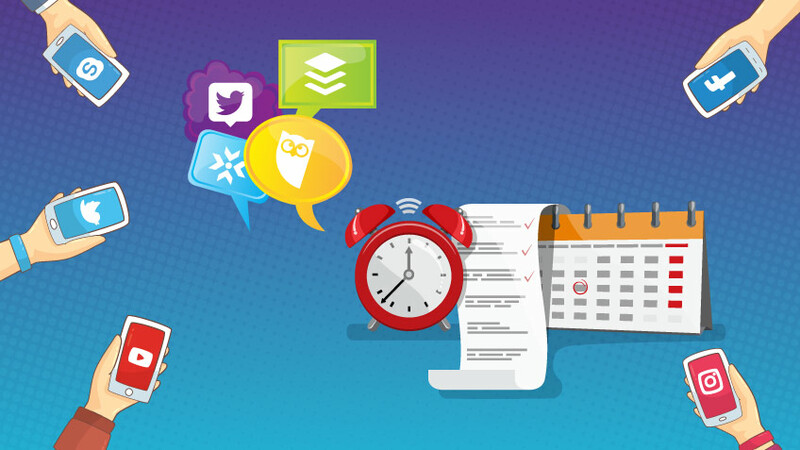 Buffer lets you build up a queue of posts to share as scheduled. It even comes with an optional browser extension, so that you can add content to your list as you come across it while browsing the web. 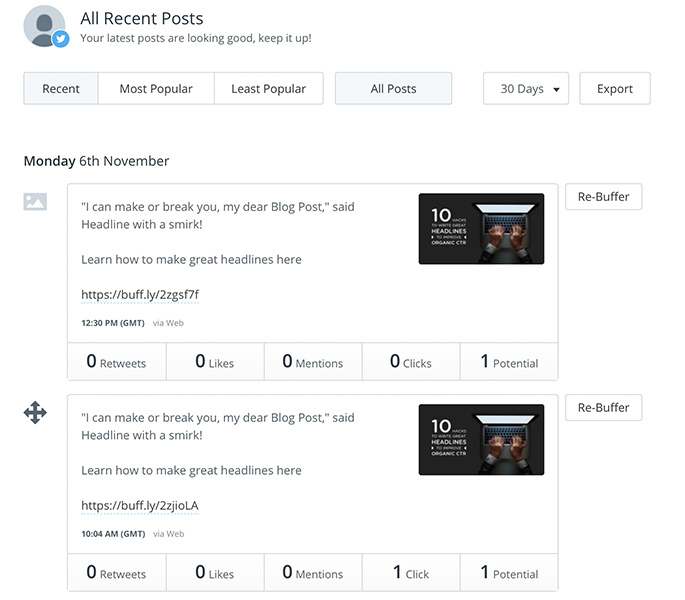 The free version of Buffer works with one account per platform, and it lets you store up to 10 scheduled posts at a time. If you’re managing multiple accounts for your business, or want to schedule more posts at a time, you’ll want to upgrade to a premium version. HootSuite is a must for marketing managers, thanks to its simple platform that allows publishing across all social media platforms. HootSuite lets you set specific parameters around your posting schedule (such as three per day between 12 and 5 PM on Wednesdays) and will auto-schedule the posts you’ve saved in your queue. Whereas Buffer limits the number of scheduled posts you can queue up even in its paid versions (though those limits are pretty high), all paid versions of HootSuite come with unlimited scheduling. The free version limits you to three linked social accounts and 30 scheduled posts at a time—which is probably plenty of bandwidth for smaller businesses or those new to social media scheduling. 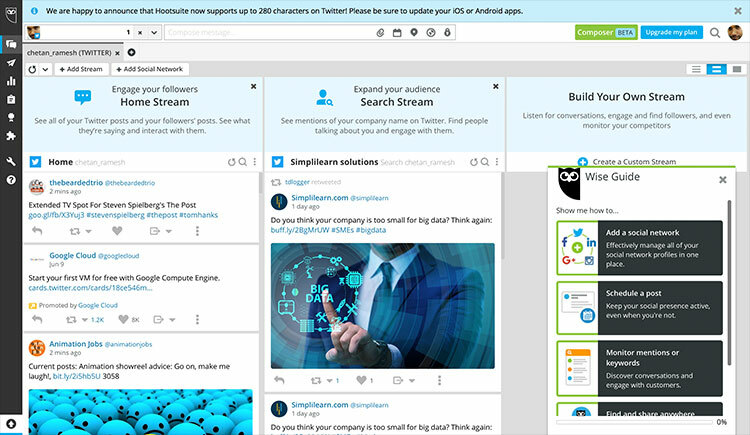 If you’re looking for one platform to simplify your multi-platform social media strategy in one place, definitely check this social media tool out. The best thing about Tweetdeck is that it is entirely free and is automatically set up for all Twitter users. To access Tweetdeck, simply make sure you’re logged into Twitter and then go to tweetdeck.twitter.com. 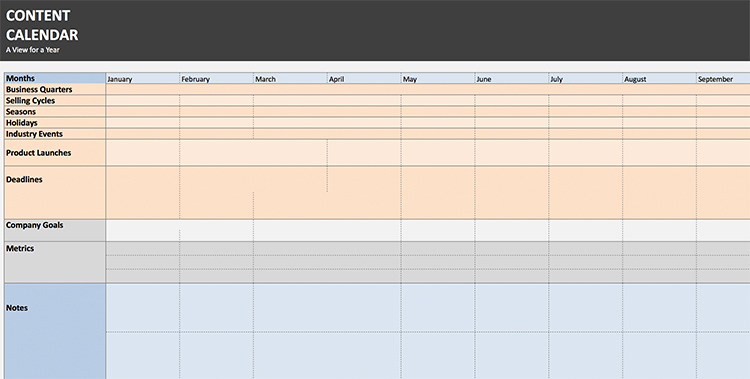 You’ll be able to schedule as many tweets as you want on the user-friendly platform. You can even edit scheduled tweets before they are posted. Also, Tweetdeck provides in-depth analytics of your tweets and Twitter audience. You can also link up more than one Twitter account at a time. If you’re managing multiple Twitter profiles, Tweetdeck is a simple way to keep them all in one place. The only downside of Tweetdeck is that it only works with Twitter—but since that’s what it was made for, who could blame it? 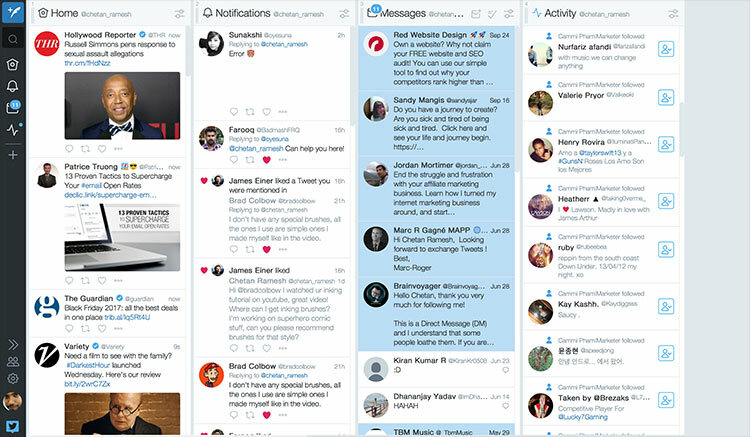 If your brand is extensively active on Twitter, it’s well worth your time to utilize Tweetdeck, and perhaps use one of the other scheduling tools for your other platforms. MavSocial is an excellent social media tool for brands that are more image-focused (which should be many of them—for example, Facebook posts get 2.3X more engagement when they include images). Not only does it allow you to schedule posts across multiple platforms, but it also allows you to store pictures and other assets directly on the platform for you to re-use in the future. MavSocial also features a stock photo library of over 129 million high-res images, many of which are free. 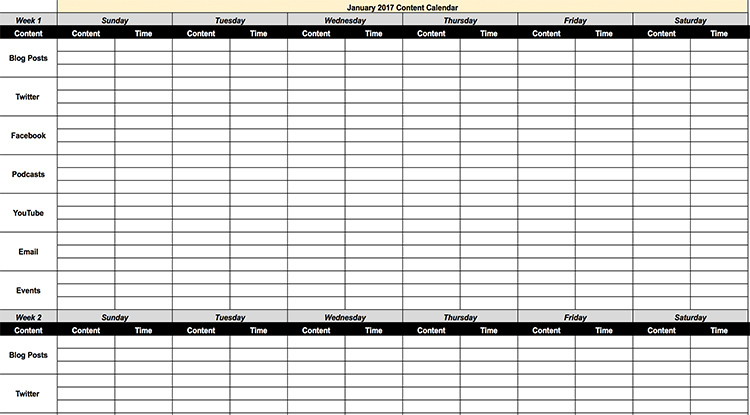 Thanks to this feature, it is very easy to make your content visually without having to leave your scheduling application. The free version of MavSocial lets you link up a Facebook and Twitter profile with a limit of 10 scheduled posts per network per day—you have to upgrade if you want more than that. MavSocial may not be as widely known a name as Buffer or HootSuite, but it’s certainly well worth checking out. 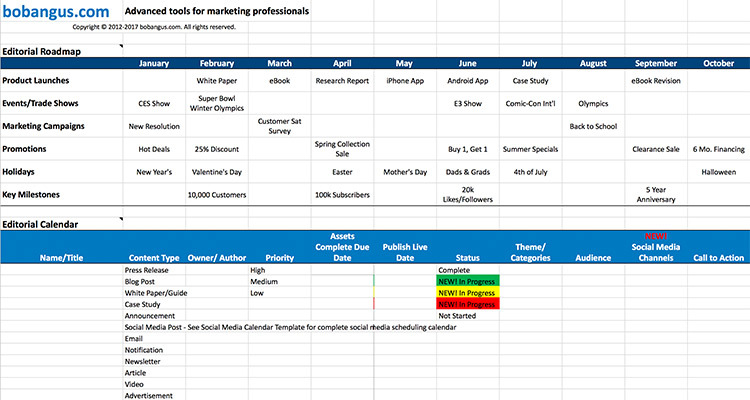 Of course, the paid versions of each of these social media tools (minus Tweetdeck) will offer more in-depth analytics and greater scheduling capabilities, but start off with a free version. You’ll quickly be able to tell whether a premium version is worth the investment. 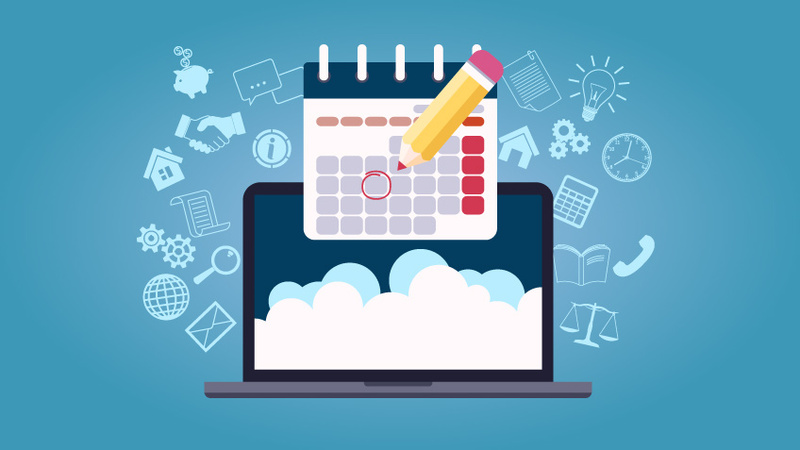 Regardless, you’re sure to find that scheduling social media posts ahead of time can give you peace of mind that you’ll never miss an optimal posting time. And, once you’ve started incorporating social media into your overall marketing strategy, you’ll quickly see how valuable it is—and that there’s so much more to utilize. Be sure to check out this Advanced Social Media Certification Training to learn tips and tricks for the most popular social media tools on the web. Ryan Gould is the VP of strategy and marketing for Elevation Marketing. His articles are featured on websites like CrazyEgg, KunoCreative and Mailigen.